PEDRO CASTLE, MAY 20TH 2012 7.00 P.M.
As darkness falls on the moonless night, three planets will be visible. Low in the west, Venus this month is sinking rapidly toward the setting Sun. The planet shines at magnitude –4.5 on May 20th, when its crescent is 51 arcseconds long and 8% lit. After that Venus's crescent should be easy to see in binoculars — and might even be visible to sharp naked eyes. On June 5th, the planet will transit the face of the Sun. The event, which will not re-occur for 105 years, will be visible from 5.00 p.m. until sunset. 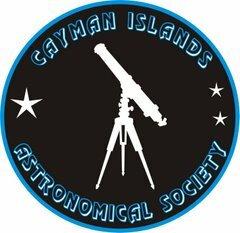 Caymana Bay has graciously allowed us to use the top of the CNB building as an observation site. We will have a number of special telescopes for safe viewing and we also should have some solar glasses. DO NOT LOOK AT THE SUN DIRECTLY. This cannot be emphasized enough. Directly overhead on Sunday, Mars (magnitude +0.2) shines fire-orange under the belly of Leo, close to the bright star Regulus, the heart of the Lion. Mars has two moons, Phobos and Deimos, which are thought to be captured asteroids. Both satellites were discovered in 1877 by Asaph Hall, and are named after the characters Phobos (panic/fear) and Deimos (terror/dread) who, in Greek mythology, accompanied their father Ares, god of war, into battle. Ares was known as Mars to the Romans. If viewed from the surface of Mars near its equator, full Phobos looks about one third as big as the Earth's full moon from Earth. It would look smaller when the observer is further away from the Martian equator, and is completely invisible (always beyond the horizon) from Mars' polar ice caps. Deimos looks more like a bright star or planet for an observer on Mars, only slightly bigger than Venus looks from Earth. The motions of Phobos and Deimos would appear very different from that of our own Moon. Speedy Phobos rises in the west, sets in the east, and rises again in just eleven hours, while Deimos, being only just outside synchronous orbit, rises as expected in the east but very slowly. Despite its 30 hour orbit, it takes 2.7 days to set in the west as it slowly falls behind the rotation of Mars, and has long again to rise. In contrast the third visible planet has more than 60 moons. The moons of Saturn are numerous and diverse, ranging from tiny moonlets less than 1 kilometre across, to the enormous Titan, which is larger than the planet Mercury. Saturn has 62 moons with confirmed orbits, fifty-three of which have names, and only thirteen of which have diameters larger than 50 kilometres. The rings of Saturn are made up of objects ranging in size from microscopic to hundreds of meters, each of which is on its own orbit about the planet. Thus a precise number of Saturnian moons cannot be given, as there is no objective boundary between the countless small anonymous objects that form Saturn's ring system and the larger objects that have been named as moons. At least 150 moonlets embedded in the rings have been detected by the disturbance they create in the surrounding ring material, though this is thought to be only a small sample of the total population of such objects.